In 1962, INADA invented the first automatic massage chair. Today, Inada celebrates its 50th Year Anniversary & is the official massage technology provider for Toyota. Inada invests a stunning 10% of gross revenue in research and development every year - twice the Japanese national average and up to 99% more than many other massage chair makers in the world. Inada is the only robotic massage institute which employs full-time Shiatsu therapists, and partners with seven universities to engineer the most effective medical-grade robotic massage chairs available. Inada Massage Chairs include the world-renowned Sogno DreamWave massage chair – the world’s best massage chairTM. 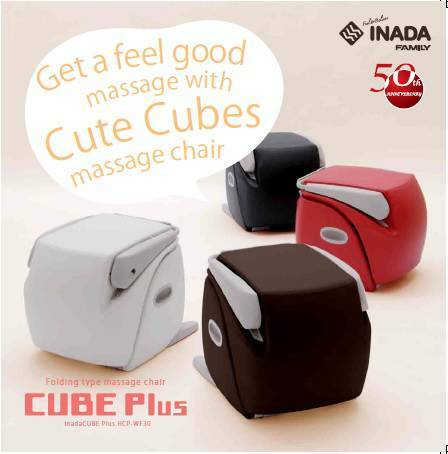 Inada is the only Japanese massage chair brand in the Australian marketplace. Prior to now, only Chinese manufactured massage chairs were available in Australia. When it comes to massage chairs, the Japanese are undisputedly the leaders in this industry. Japanese innovation, design, technology, R&D, ingenuity, experience, elegance & luxury…… When only the best will do! Inada massage chairs stand out when compared to all other major robotic massage chair brands in the market. Because of this, we encourage you to learn as much as you can about robotic massage chairs. Quality and Reliability: Inada massage chairs are built with a 20 year plus lifespan. INADA massage chairs undergo stringent testing and must be able to run continuously for 2,500 hours, translating into over 10,000 individual massage sessions. As such, the expected life span for an INADA massage chair is at least 24 years. 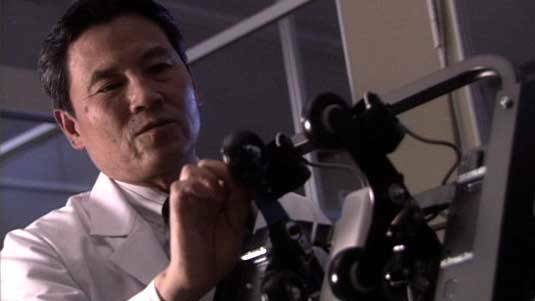 Intelligent Massage: Inada massage programs are designed from scratch by actual massage experts to re-create proven massage techniques with robotics. Every INADA product is designed to deliver a shiatsu-style massage, which helps maximize relief, remove tension and stiffness, and creates an avenue for the user to escape the stress of everyday life. Medical Grade Therapy: Inada collaborates with ten medical research facilities and seven universities to design massage programs with the maximum health benefit. • INADA’s product line addresses posture correction, neck traction, stretching, full body massage therapy, targeted therapeutic massage, and daily stress reduction. Inada invented the world's first automatic massage chair. Over the next 50 years, Inada went on to pioneer virtually every major massage innovation introduced to the market, including the first spinal roller, the first use of air cells for massage, and the first infrared pressure point detection system. In 2008, they released the award-winning Sogno, a revolutionary massage chair that continues to be a best-seller and features the most advanced and comprehensive air cell and roller massage on the planet. 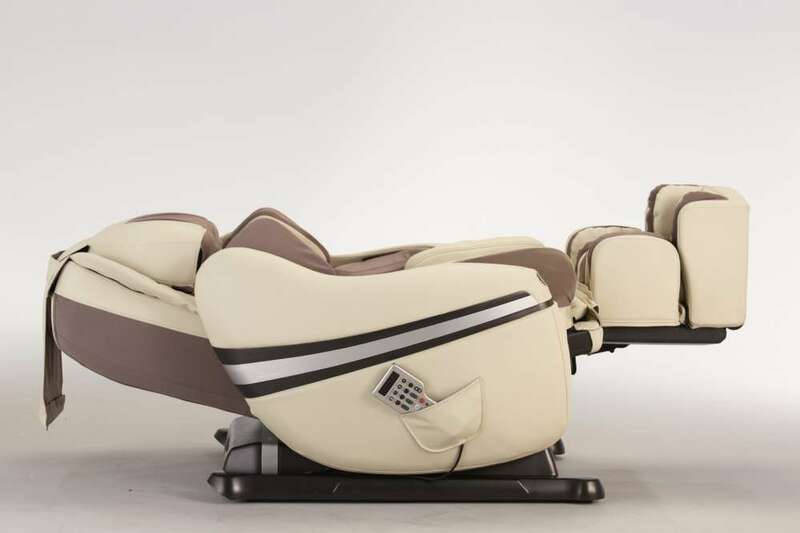 Whilst minor modifications have been made to this massage chair over the past few years, you simply cannot improve on perfection and to date, no other massage chair has been made to surpass the capabilities of the Inada Sogno DreamWave Massage Chair. Inada is the only massage chair company whose product development is 100% led by professional Shiatsu therapists. Each massage begins with an automatic Shiatsu point detection scan (another Inada invention) and has been choreographed to intelligently massage the right parts of your body with just the right touch. Inada collaborates with 7 universities and 10 medical clinics to conceive and test new ideas for making a positive impact on your health. Inada is famous for its quality. Each new chair model is rigorously tested for the equivalent of 20 years of regular use before it is released. In total, Inada employs over 100 full-time engineers and massage experts to design and manufacture Japan's most effective medical-grade massage devices. In 2008, Inada's extraordinary engineering team was approached by Toyota, famous for its state-of-the-art manufacturing processes and world class quality, to design massage functionality for their new minivan. When you think about the fact that the industry didn't exist when Inada invented the first massage chair in 1962, it is all the more remarkable that today, Inada generates over $300 million in revenue and has become the world's largest and most advanced massage chair company. 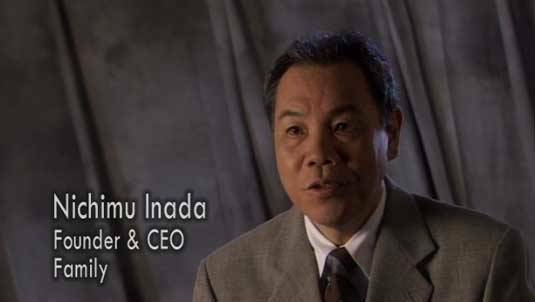 Few companies can offer the reliability and certainty of a leader like Inada. FAMILY INADA believes that the world can benefit from the traditions of Japanese medicine that emphasizes preventative health care, especially the importance of acupressure massage in maintaining well-being. FAMILY INADA has been devoted to designing and building therapeutic massage chair devices for home use since its creation in 1962. They believe that their massage chairs can become an integral part of everyone's health care regime. Their mission is to share with the world the benefit of their years of experience and innovation in acupressure massage chairs. Their goal is nothing less than to take our award-winning products to the world. The Family Group has export sales divisions in the U.S., UK, Germany and Southeast Asia. Our massage chairs are in wide use in massage training centres and day spas all over the world. 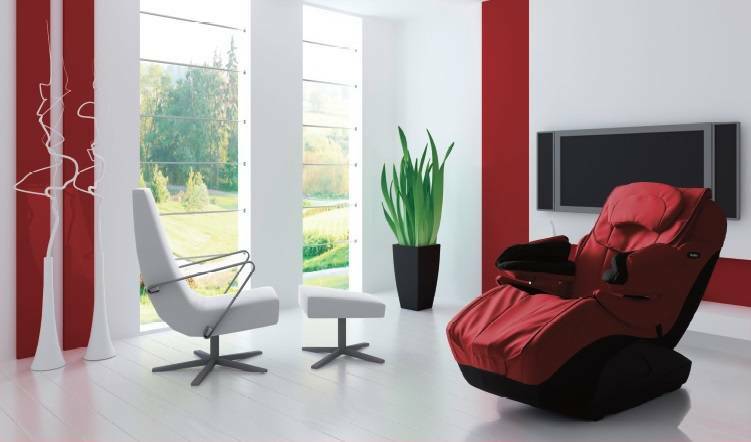 INADA specialises in high-end massage chairs for individual home and office use. We pledge to continue to provide high-quality, high-performance massage chairs that meet the demands of our increasingly diverse clientele. FAMILY Inada is the manufacturer of Japan's No.1 selling luxury shiatsu massage chair, the INADA Massage Chair. Since its inception, the company has been devoted to designing and building therapeutic massage chair devices for home; the office and corporate use, and holds many international patents in the field. Family Inada, based in Japan employs over 2000 people. Inada is the leading manufacturer of massage chairs in the Japanese market; competing against major companies such as Panasonic and Fuji. Family Inada's innovation and development has propelled them to the number one spot in massage chair technology. The INADA Chair is sold as a "Medical Massage Chair" in Japan. It was approved by the Japanese government in 1998 for use in non-clinical massage & acupressure therapy and is marketed for home-therapeutic medical purposes in Japan. The INADA Massage Chair is the synergy of Eastern medical wisdom and modern technology. The ultimate goal of massage is to enhance the body's natural healing ability by releasing stress and promoting circulation. According to Eastern medicine, the key to good health is maintaining a balance between the yin and yang elements in the body, including the relationships between the upper and lower body, left and right, and front and back. The body has more than 350 pressure points aligned with the internal organs along the meridians. Stimulation of specific pressure points through kneading, tapping or pressing can energise the internal organs, helping in some cases to slow or possibly prevent the onset of disease. The INADA Massage Chair is the only massage chair that relies on the techniques and knowledge of professional massage and shiatsu therapists. Mr Nichimu Inada's philosophy is to see massage chairs developed to the highest technology and the greatest benefit to people's health and well being. Mr Inada's hopes are for every home worldwide to have an Inada massage chair.